Your strategic and capital decisions rely on the details, assumptions, and outputs of financial models and analysis. At Operis, we put best practice at the heart of our financial modelling auditing, training and software business. One way we share our knowledge and support our clients in building, maintaining and reviewing complex financial models is through our spreadsheet modelling and auditing Excel Add-in application, more commonly known as OAK. Operis Analysis Kit, otherwise known as OAK started life as an in-house application. Our modelling team developed and used it to help construct and review complex financial models. As a company we believe it is crucial to support spreadsheet builders, reviewers and users and so we shared our in-house application with our clients. Soon, large accounting practices and major financial institutions around the world were clamouring for access to our OAK Excel Add-in’s spreadsheet modelling and auditing functionality. Today we’ve transformed our in-house OAK Excel Add-in into an application recognised as the industry standard in Excel modelling and auditing apps. 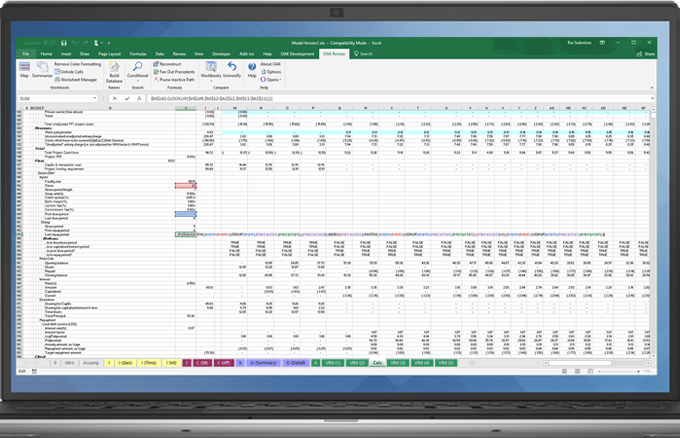 We want to make our Excel modelling and auditing application available to as many spreadsheet builders, reviewers and users as possible. What’s more, we want to make Excel modelling and auditing straightforward for everyone. So we continually look at ways to make your user experience that much better. To do this, we follow trends in modelling practices, spreadsheet evolution and SaaS. And we collate your feedback because it is critical to our understanding of how we can add value to OAK and improve your satisfaction. With every software update, you get to enjoy new features, improved functionality and bug fixes. If you would like help building or reviewing a complex spreadsheet according to best practice. Or reading and interpreting a spreadsheet built by another, then start a free 30 day trial. There’s no risk, no obligation and no credit card required.